David has owned and operated his studio for 24 years. 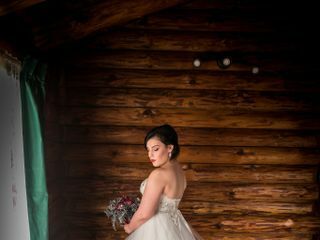 The studio is well known for its artistic wedding and portrait images. 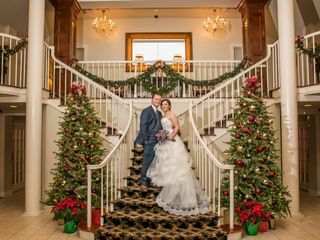 David and Dawn have received the highest awards in CT and nationally for their wedding and portrait images. These awards include seven national PPA loan collection images. Three Century cup awards for best wedding candid images in CT. Four Court of Honor awards for best images at the CT annual convention. Two prestigious Kodak Gallery awards which were selected for display at the Epcot Center in Disney World. David and Dawn combine a nice balance of traditional and photojournalistic style of photography at each and every wedding they photograph. David is also a Certified, Master Photographer. We look forward to capturing the many important moments of your future wedding, event and portraits. Remember, we only look expensive : ) Thanks! 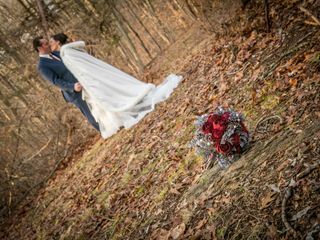 Amazing photos of our winter wedding! David and Dawn were fabulous! We did photos at my grandmother’s house--in the middle of the woods where Google Maps doesn’t reach--before heading to our venue. 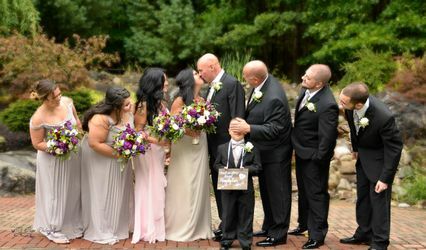 They were great sports about the somewhat offbeat location and handled things far more gracefully than I did when my bridesmaids’ hair and makeup appointments ran late. They even managed to finish photos earlier than planned! Most importantly, they made my husband and me comfortable in front of the camera, which isn’t typically the case, and took beautiful photos. 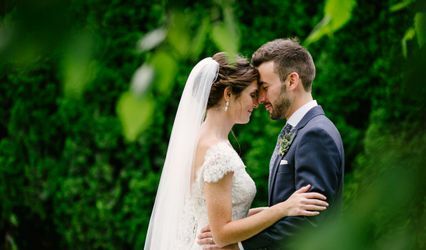 Both David and Dawn were the absolute perfect display of professionalism at my wedding. From our initial meetings with David, I knew Dan and I were in the right hands. Our wedding day went by so fast and besides each other, the pictures are what we will cherish forever! I was completely at ease throughout the day knowing David and Dawn would capture every priceless moment and I was right! I have no hesitation recommending David Frost Photography to anyone looking to capture the priceless moments of life. David and Dawn were absolutely amazing! They are so professional and efficient. David always responded to all of our phone calls and emails in a timely fashion. He was just so easy to work with! He accommodated our work schedules for all meetings with him. On the morning of the wedding, Dawn was just so helpful with all details of my gown. She made me feel so at ease! David and Dawn worked so well together taking such unique shots, with details to lighting. Our pictures came out absolutely amazing!!!! There was one better than the next! They captured each special moment of the day and you never knew they were there. We just can't thank them enough!! !